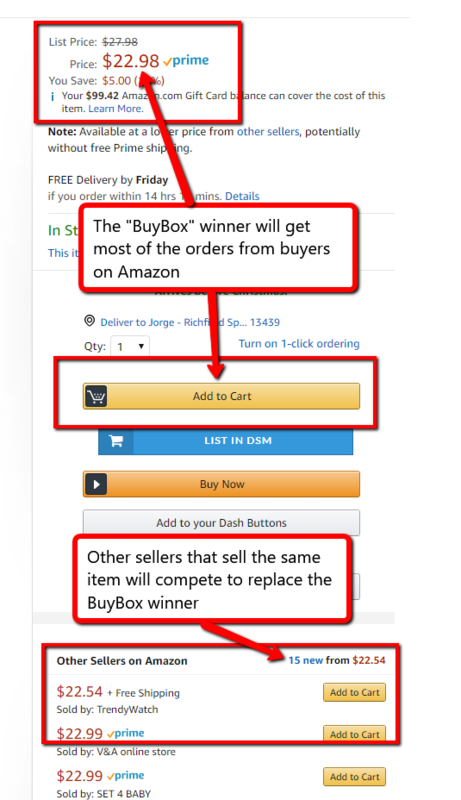 Amazon is one of the most popular suppliers for drop shipping arbitrage practitioners. Below you will find information about the DSM Tool Prime Monitor repricing process including the Amazon Suppliers Table, Prime Protection, Add-On protection, dealing with Back Ordered items and more. You can set a minimum seller feedback, sellers with a price below the minimum feedback you set will not be counted in the repricing process, such items might appear out of stock for no reason, in fact, setting a higher required feedback rate keeps your account more safe as you avoid the potential of a fraud done by new Amazon sellers with no feedbacks. Q: Why are some of my items are out of stock in my store while they are in stock on Amazon? A: The phenomena is caused due to a wrong information in Amazon servers. When DSM Price Monitor checks the items price on Amazon server, it sometimes get a messed-up response generated by Amazon servers. In those cases, the item is immediately set to "Out of Stock" protection in order to protect your store from having items that are not updated. Q: I sold a "back order" item (item is available for purchase today, but it's fulfillment date is in the future). How can I prevent from such item to get sold? Unfortunately, just like add-on, back-order items cannot be detected via the Amazon as a source repricing process. If you sold a "back ordered" item, make sure you remove it from your store in order not to sell it again. We are able to detect "back ordered" items when you are trying to import them via the DSM Rapid Lister, which reduces the chance of selling these items dramatically.